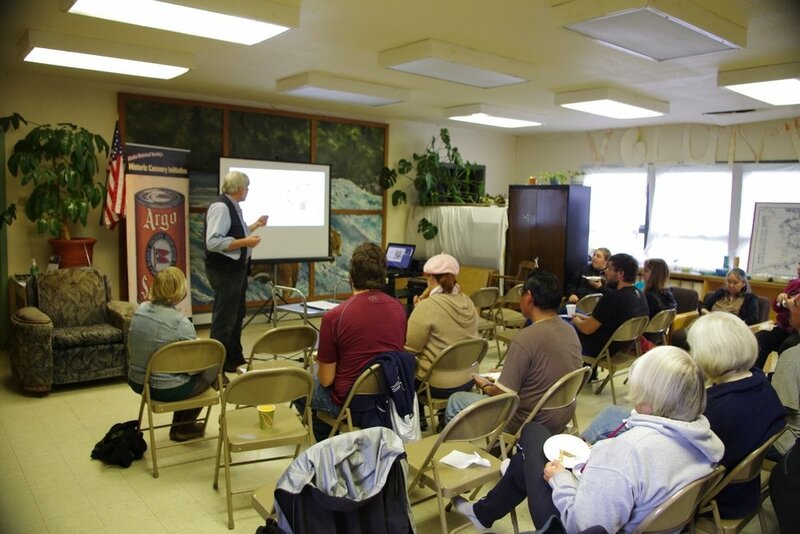 "This is an opportunity to participate in the project that gives people a chance to save a part of their history"
In 2015, a contingent of Alaska historians, curators, filmmakers, and cultural bearers led by the public history consultant company Tundra Vision came together with the goal of preserving the history of the 128-year- old NN Cannery in South Naknek, Alaska, which had been slated for closure by the facility’s owners, Trident Seafoods. The relationship between cannery and community cannot be overstated. The NN Cannery supported thousands of residents, transient workers, and fishermen, and gave each a unique identity and lifeway. The cannery connects Bristol Bay to an extensive community web, and its closure marks the end of an era. Provide a digital storytelling workshop, Voices from the Past: Digital Storytelling for the Future, for Bristol Bay High School students. Develop an oral history archive of cannery worker social Histories with the University of Alaska Fairbanks Project Juke Box. For summer 2017, the NN Cannery Project team, through technical assistance from the National Park Service’s Alaska Regional Office, focused on collecting data for the National Register nomination. Historian Bob King from Juneau, archeologist Anne Pollnow from Sitka, and historian/project director Katherine (Katie) Ringsmuth traveled to South Naknek, Alaska to conduct archeological, architectural and historic evaluations of the cannery property. Fieldwork also gave us the opportunity to share good news: that the National Endowment of Humanities had awarded the NN Cannery History Project a $60,000 Creating Humanities Community Grant. Cannery Superintendent Carvel Zimin and South Naknek Librarian Shirley Zimin organized a community gathering so that the NN Cannery History Project team could invite residents to help create a humanities community around the closure of the cannery. Project directors ramped up activities in autumn 2017. Katie Ringsmuth participated on a panel organized by the National Park Service at the American Institute of Architects in Homer, Alaska, discussing how the NN Cannery History Project exemplifies “participatory history preservation” and serves as a model for public-private historical undertakings. In addition, the NN Cannery was listed as one of Alaska’s Top Ten Most Endangered Historic Properties of 2017 and the project received $2,600 from the Alaska Association for Historic Preservation to fund travel/research at repositories holding Alaska Packers Association records. To achieve the digital storytelling component, team participant and lead filmmaker, Sharon Thompson, will be working with the nationally-recognized, educational media consulting company, See Stories. In 2018, Ringsmuth has traveled to Seattle to meet with the National Park Service to discuss ways to connect the NN Cannery History Project with other historic sites holding significant maritime resources and are historically linked to property at South Naknek, such as Fisherman’s Wharf in San Francisco. Ringsmuth also met with representatives from the Filipino American National Historical Society and former cannery workers in order to ensure that a diversity of voices are represented in the museum exhibit. She has made presentations to the Alaska Salmon Canners Association, the Bristol Bay Chamber of Commerce, Anchorage Rotary Club, and the Cannery Worker Reunion at Blaine, Washington. The NN Cannery History Project will also be sponsoring the Mug Up sessions at the Bristol Bay Fish Expo in June. So far, the NN Cannery History Project has received funding from the National Endowment of the Humanities, the National Park Service, and generous individuals who care about preserving the history of cannery workers. All total, we have raised $111,268 to initiate project goals. But, we still have work to do. To create a model of the NN Cannery, conduct interviews with cannery people, develop digital maps, produce a companion publication for the exhibit and support exhibit travel approximately $200,00 still need to be raised. Stay Tuned for more project updates…To see how you can get involved, check out our events calendar for upcoming public engagement opportunities.